Cassie’s good friend Dawn is part of an organization that’s trying to protect a colony of stray cats on the property of a condo community in Chadwick, New Jersey. The residents have got their backs up over the cat invasion, and Dawn has come to Cassie’s grooming and boarding shop, Cassie’s Comfy Cats, to ask her help in talking sense to them. Not everyone’s against the cats. Eccentric Sabrina Ward feeds them and has even created makeshift shelters for them in the nearby woods, infuriating her neighbors. Following a heated community meeting—in which Cassie and Dawn come up with a proposal—Sabrina’s body is found in the woods. The police are calling her death an accident, but Cassie smells a rat. Narrowing down the list of suspects may be tougher than herding cats, but Cassie is determined to collar the killer before another cat lover has a fatal accident . . .
Feral Attraction by Eileen Watkins is the third installment of the cozy A Cat Groomer Mystery series. Each book in the series has it’s own murder to be solved so they could be read as a standalone if choosing to do so. There is however a bit of character development from book to book for the fans of the entire series. This series if centered around Cassie McGlone who had moved to the picturesque town of Chadwick to give herself a fresh start after leaving a horrible relationship. Cassie had opened her own shop, Cassie’s Comfy Cats, a cat grooming and boarding specialty boutique. Cassie’s friend Dawn invites her along to a meeting between residents that want a stray cat colony moved and the organization trying to protect them. Afterwards Dawn is out one night when she comes upon the body of a member of the cat supporters and when police think it’s natural causes Dawn convinces Cassie to help her look into the death as she suspects it was really murder. 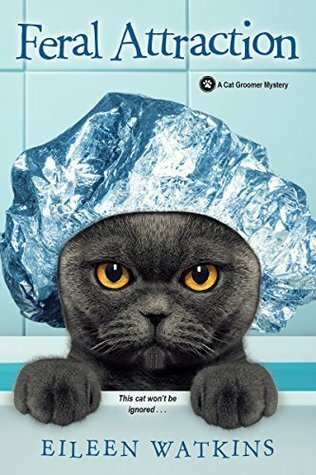 A Cat Groomer Mystery series has quickly become one that I really look forward to reading each book as they come along. The author has done a wonderful job with Cassie’s character and her knowledge of cats that even having owned cats my whole life I can still learn something new. There’s also always little reminders to bring a reader right back into the series without missing a beat and to keep a new reader on top of the character building. Wrap that up with a great mystery each book and this is one I’d definitely recommend, especially to the kitty fans out there. Eileen Watkins is also the author of The Persian Always Meows Twice and The Bengal Identity in the Cat Groomer Mystery series. For most of her career, she has worked for daily newspapers, writing and editing stories on fine art, architecture, interior design, and home improvement. She has also published paranormal mystery and suspense novels. A confirmed “Jersey Girl,” she prefers older houses, has always shared her home with at least one cat, and makes frequent visits to the nearest riding stable. 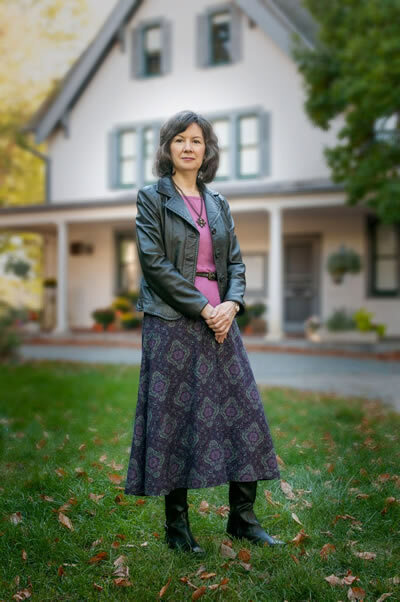 She is a member of Sisters in Crime and Mystery Writers of America. Visit her website at http://www.efwatkins.com. Nice review Carrie. This series sounds like one that you are really enjoying. I am taking a page out of your book and not starting a series part way into it, so will probably not read this one. Thanks Carla! I do like them much better when starting at the beginning and know the feeling of thinking oh no it’s already at 3 books and I have so many so I can’t blame you for passing.